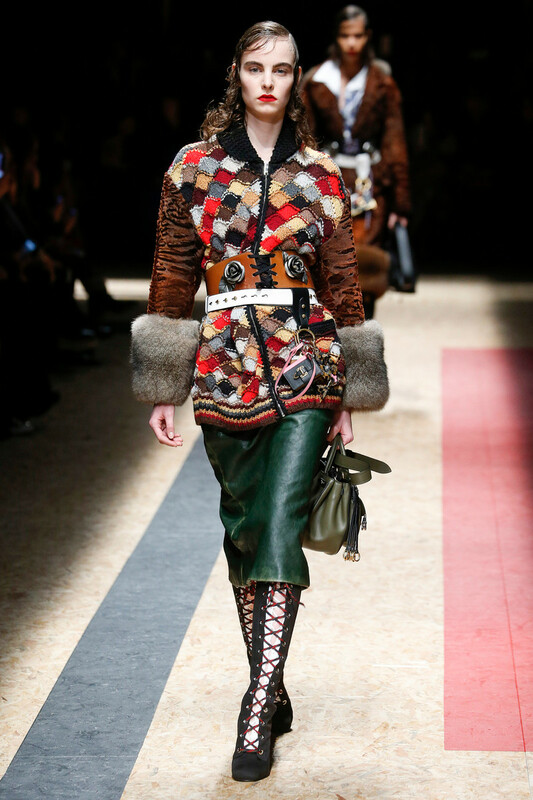 Pilgrims, vagabonds, nomads, world travelers or just women on a mission. 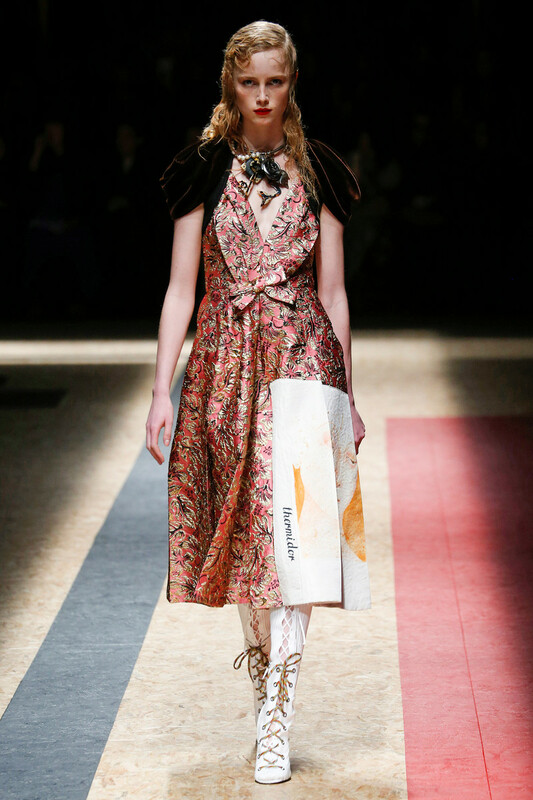 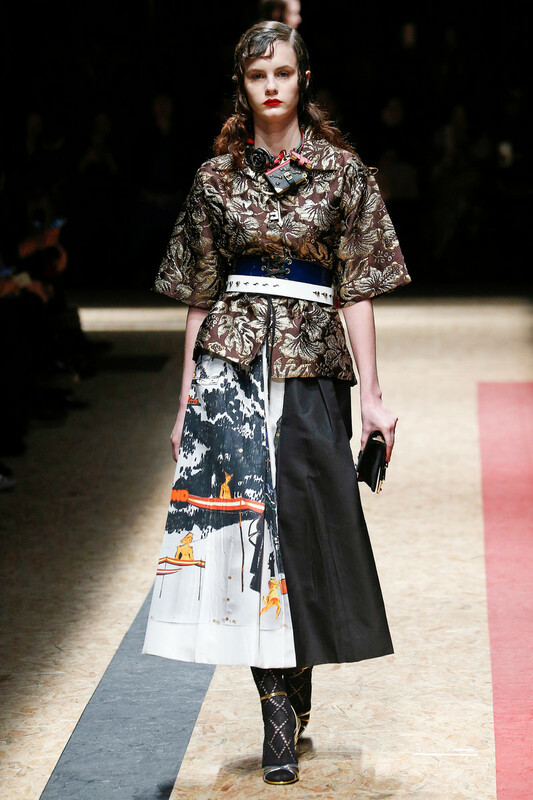 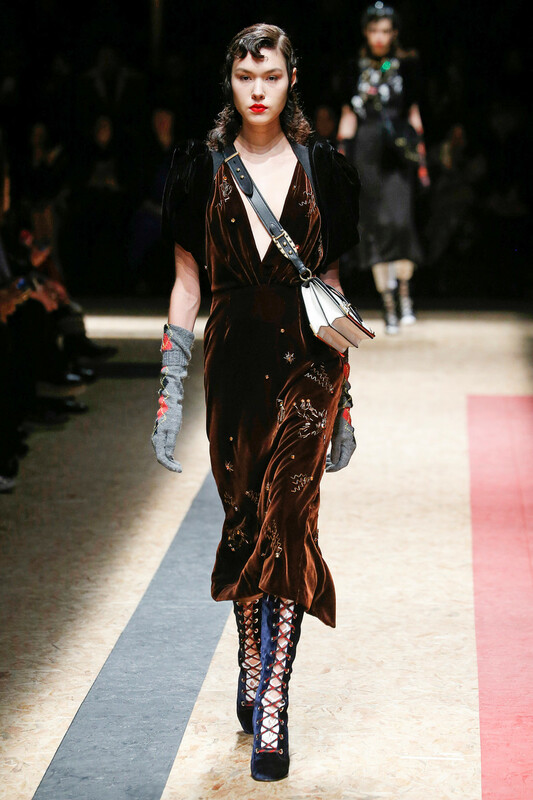 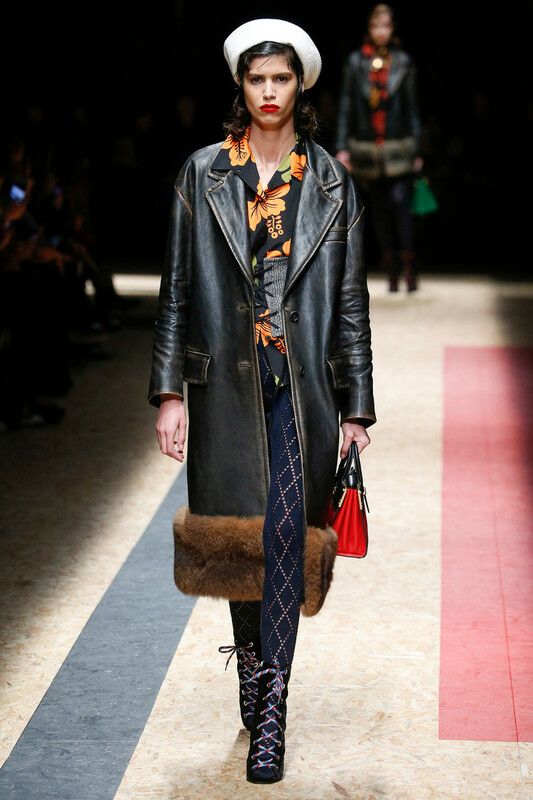 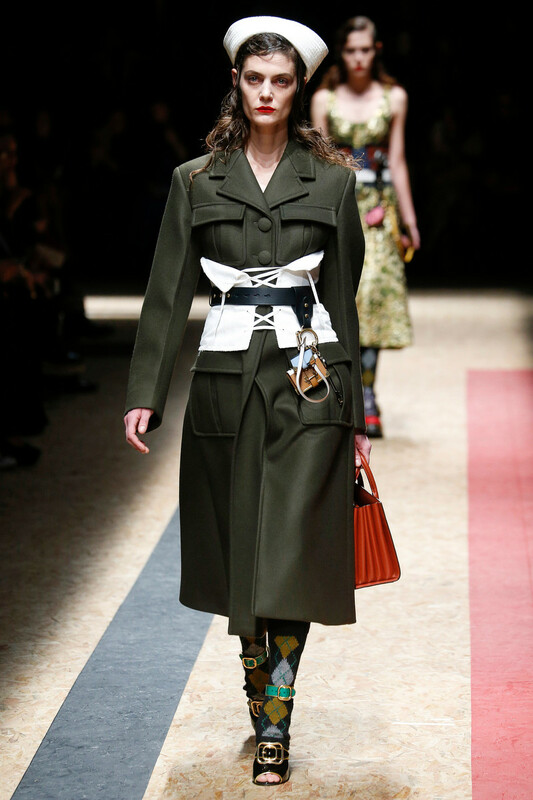 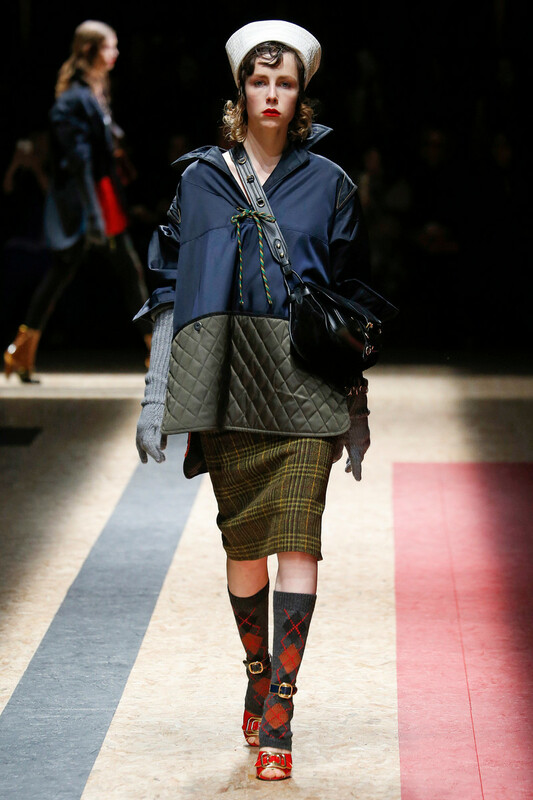 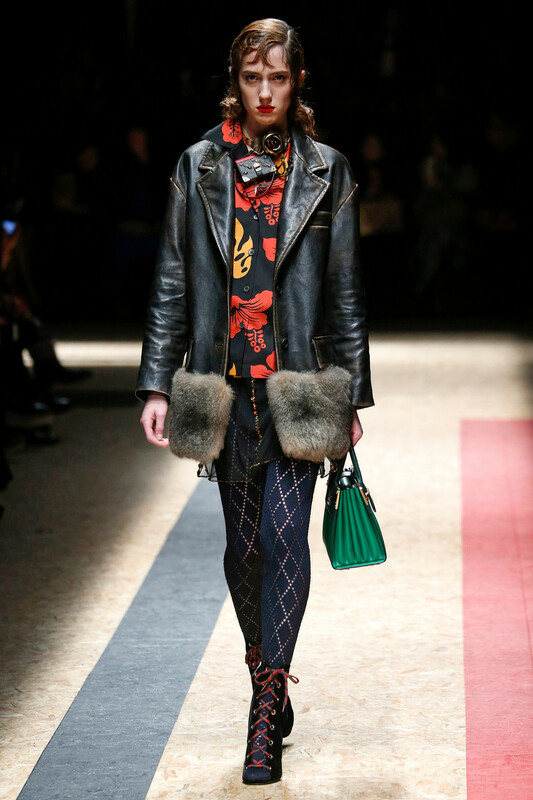 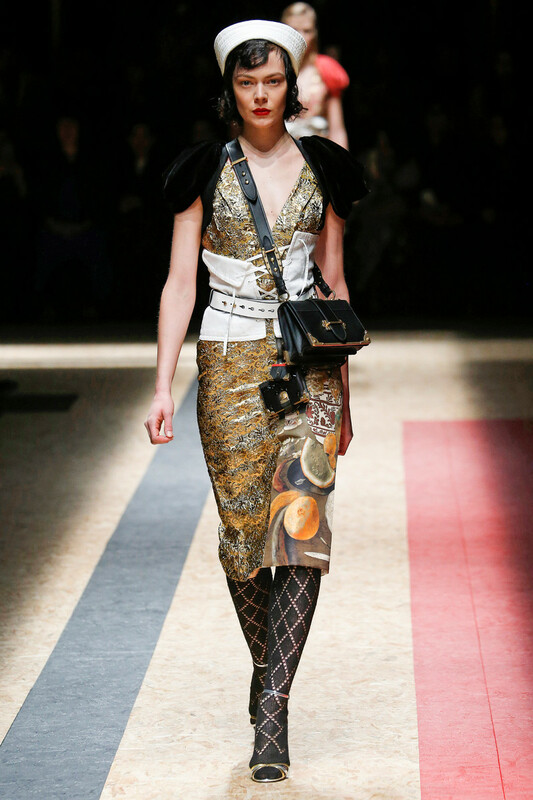 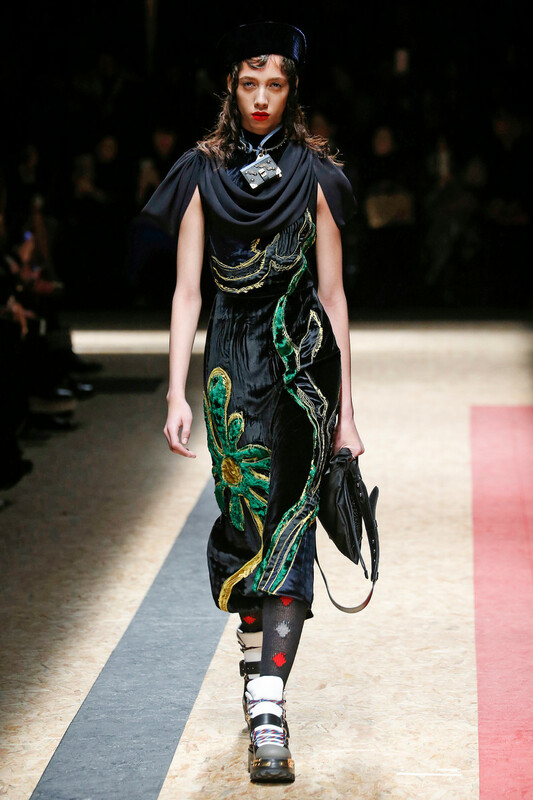 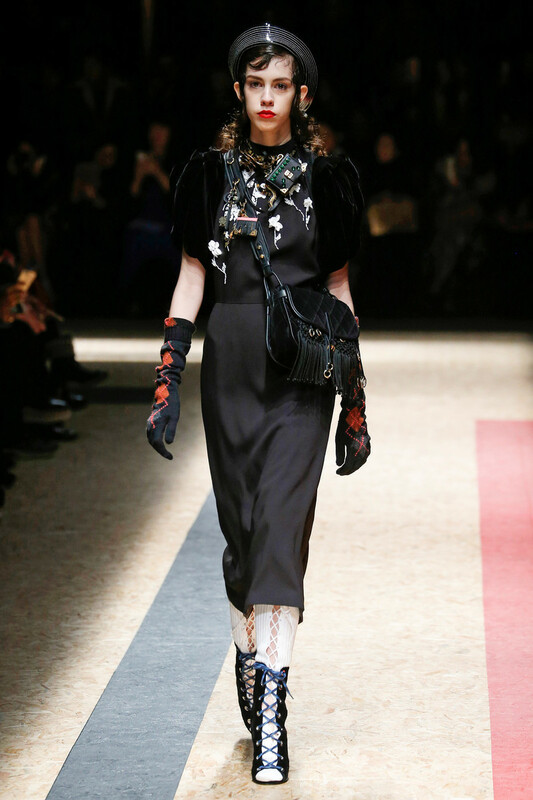 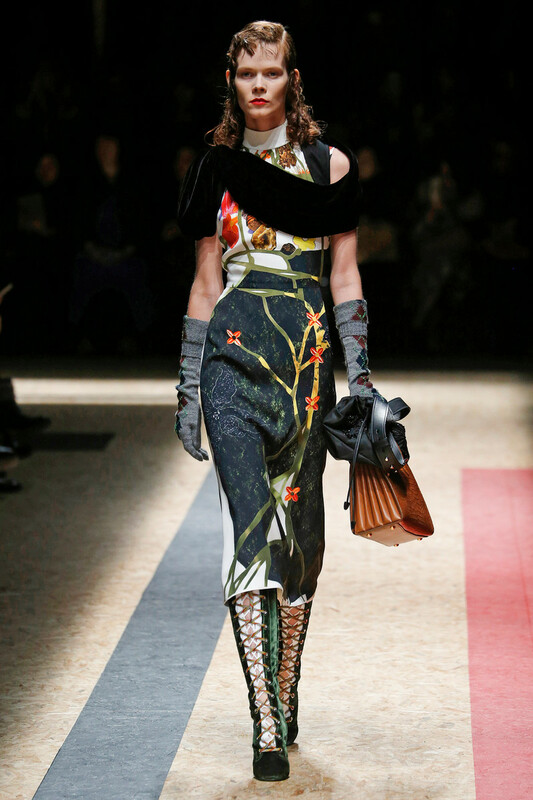 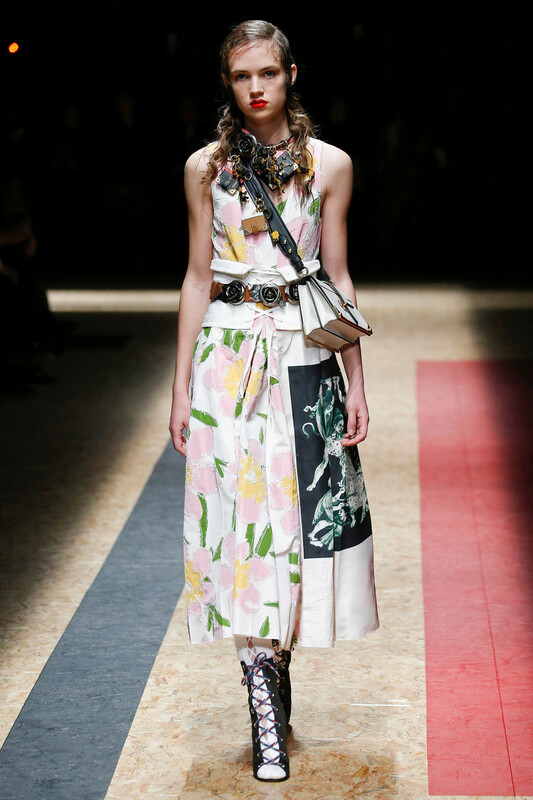 The Prada girls looked smart, confident and more sensual than ever. 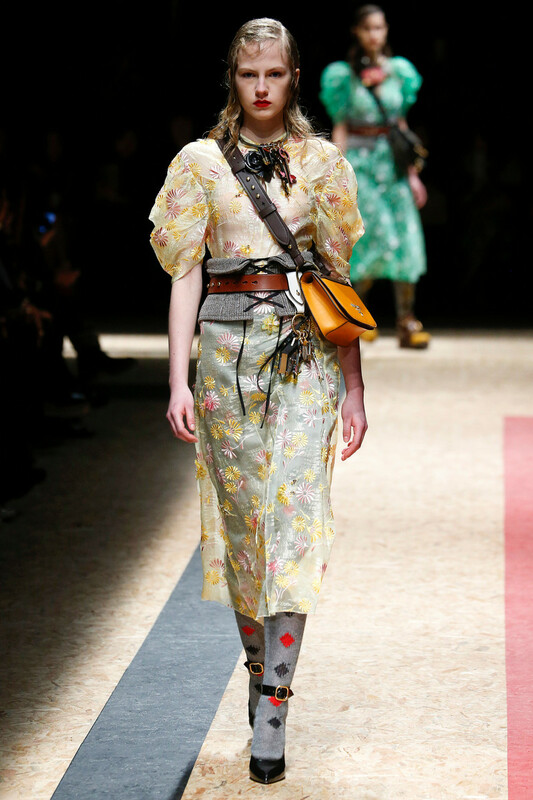 It must have been those cherry red lips. 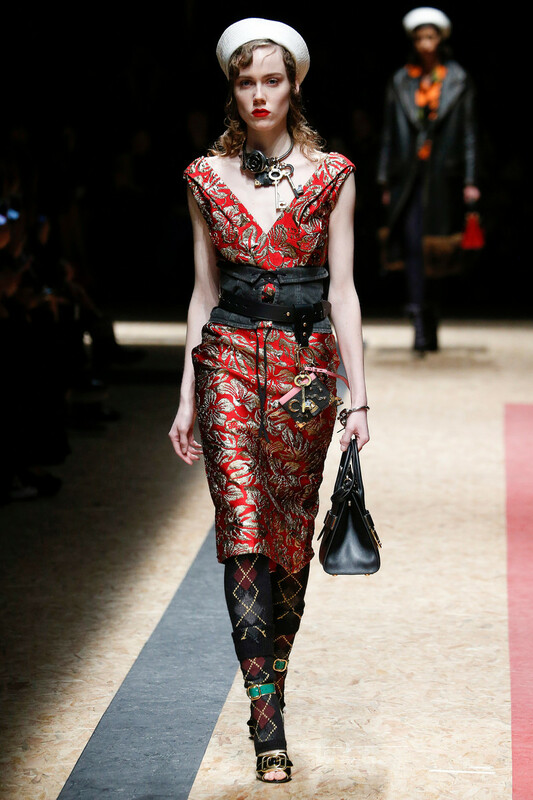 Yet those cinched waists might also have added to that sensuality. 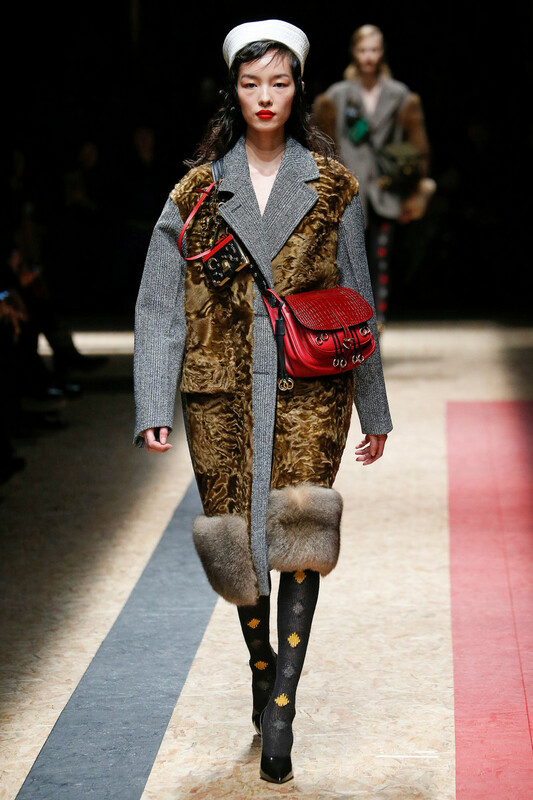 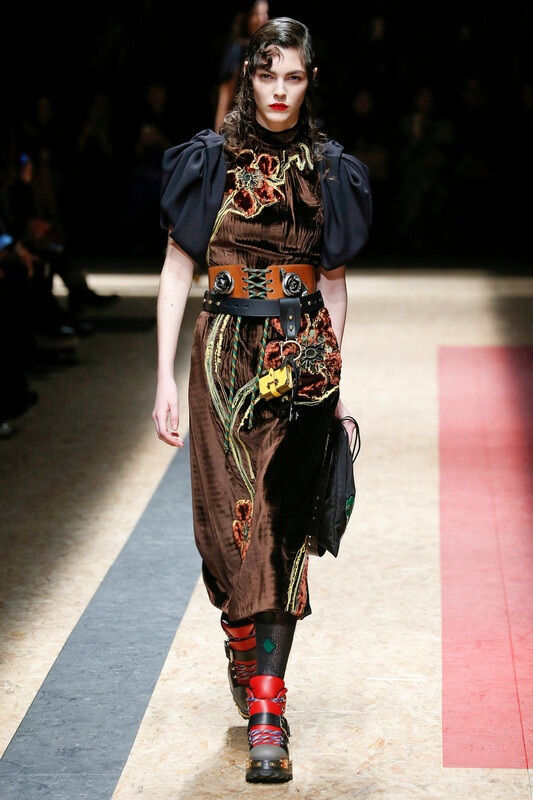 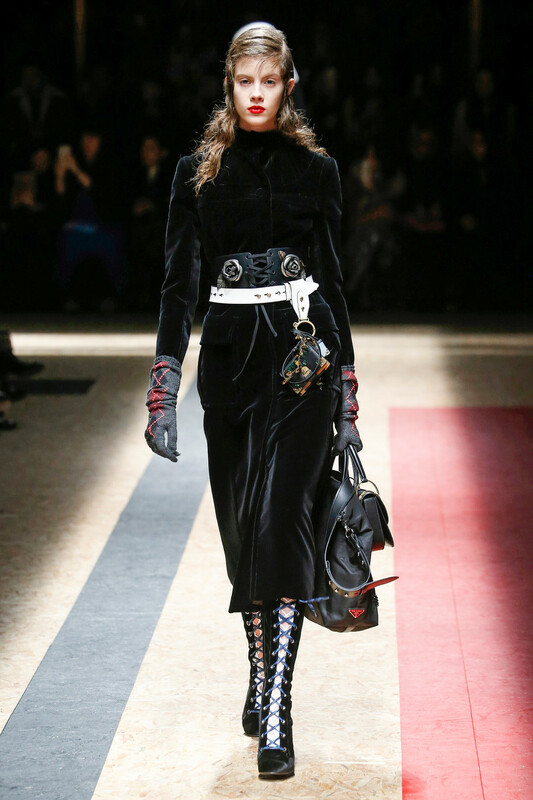 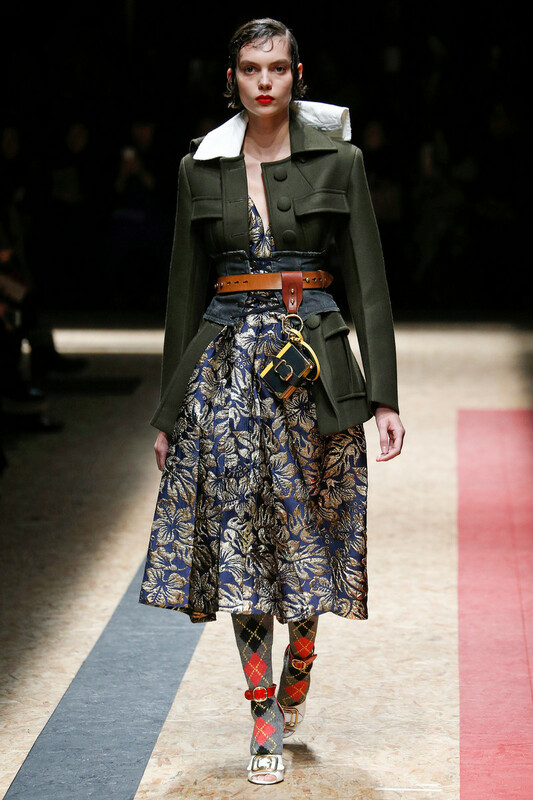 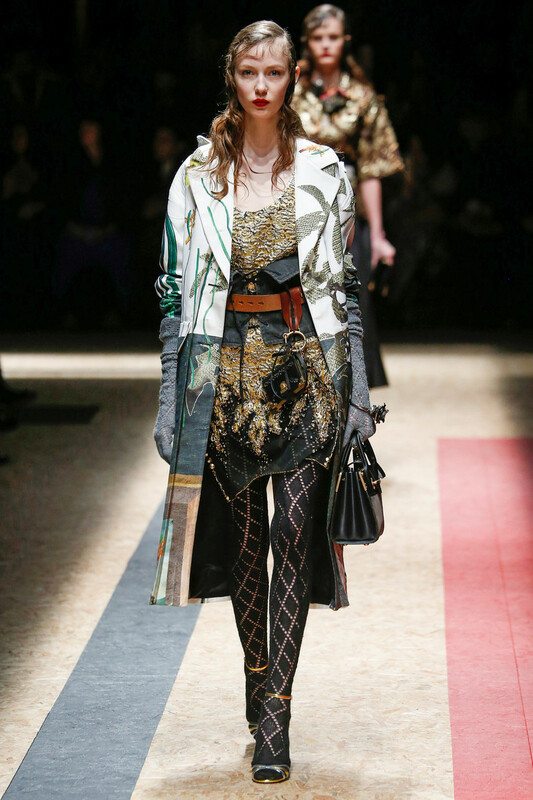 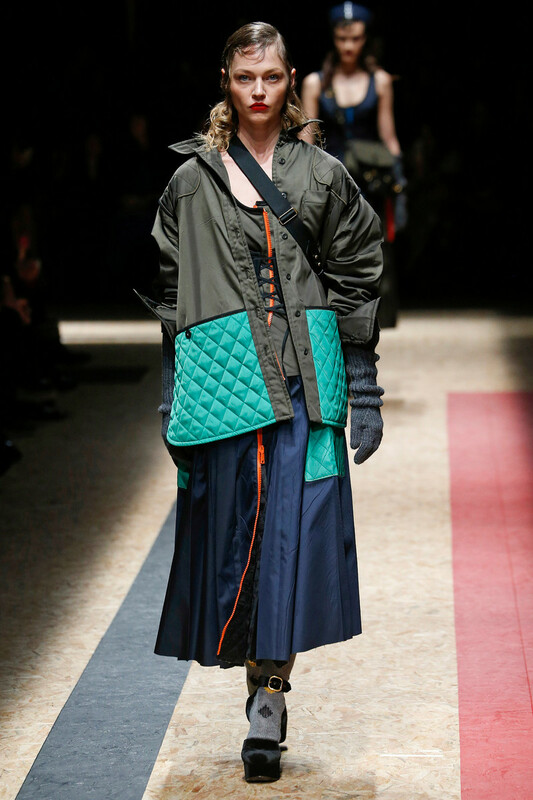 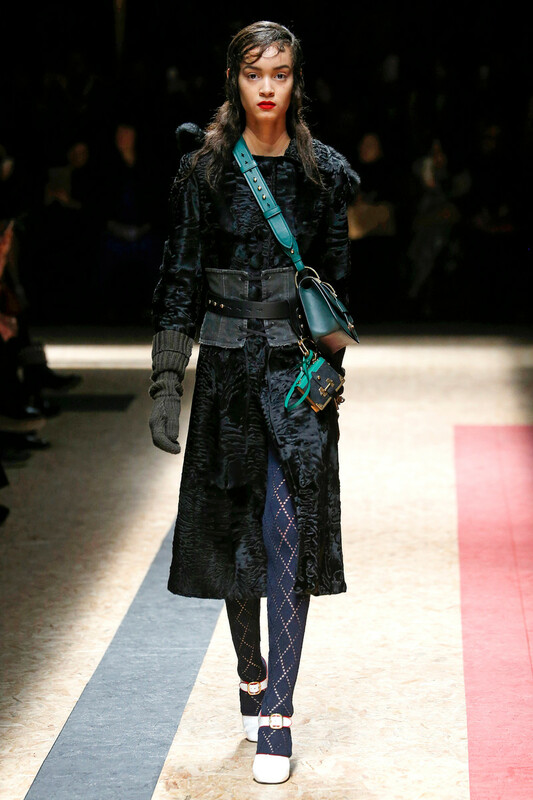 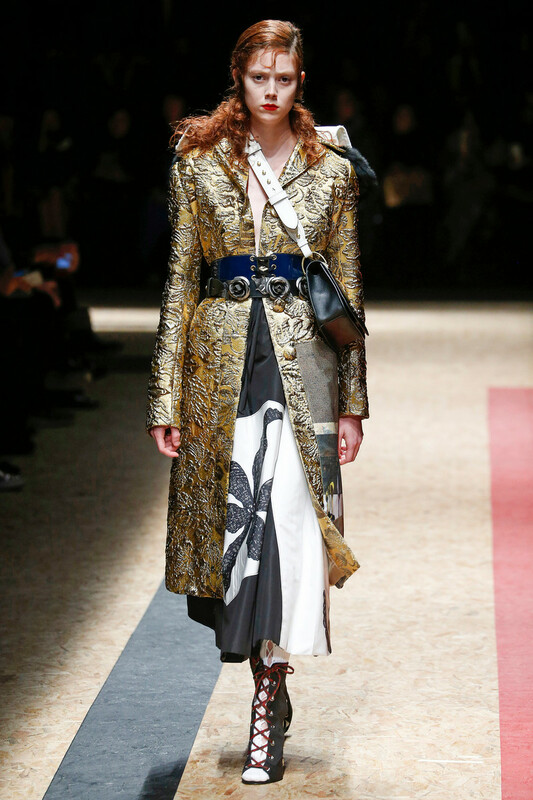 As multiple belts and corsets were worn over almost every look (yes over heavy coats too!). 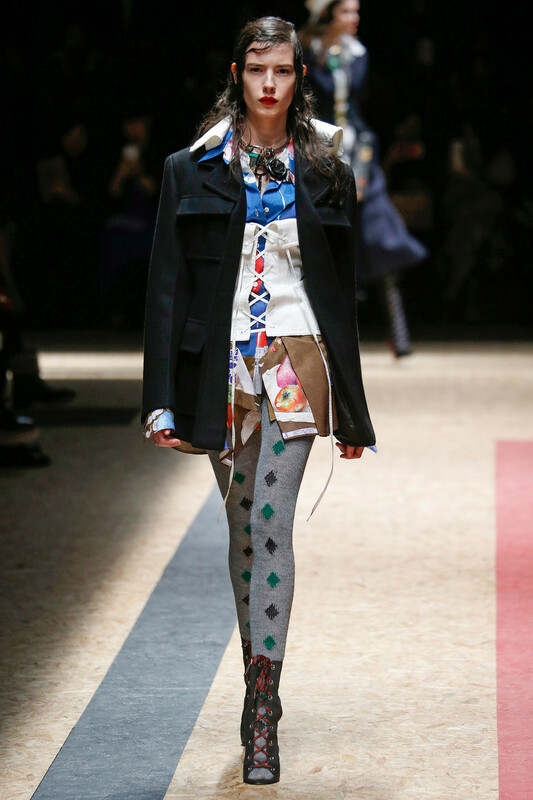 “The nature of women is complex and ineffable . 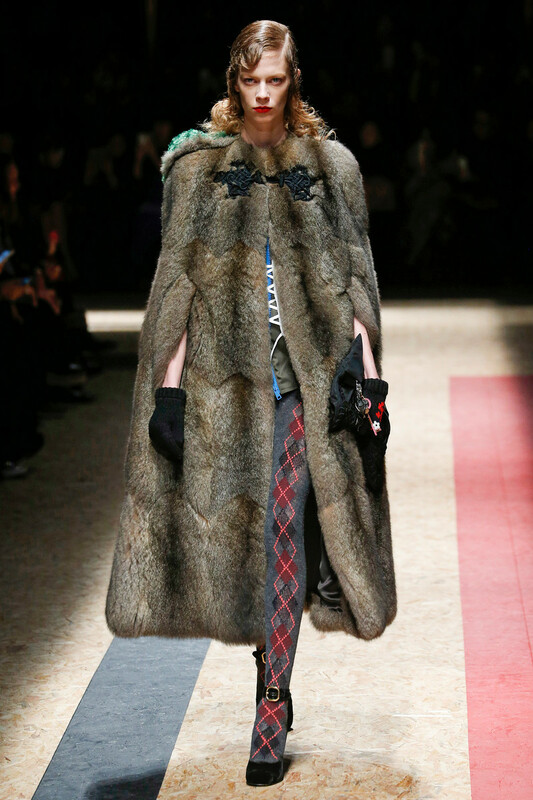 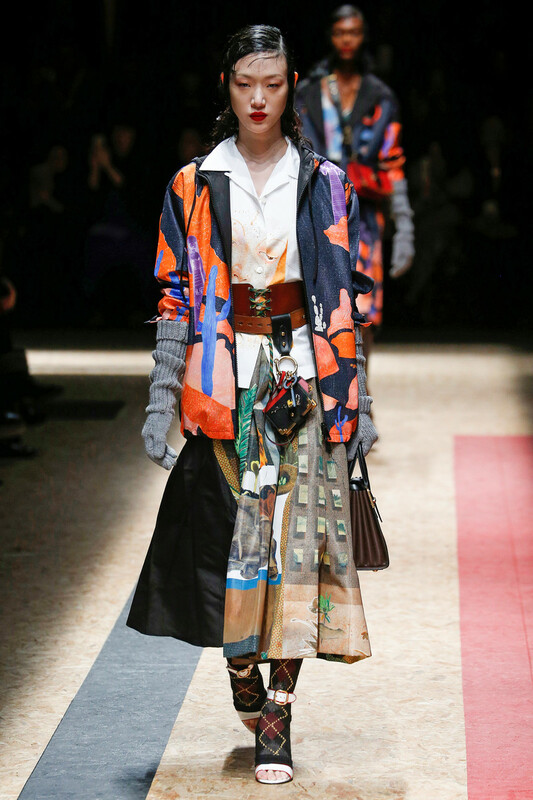 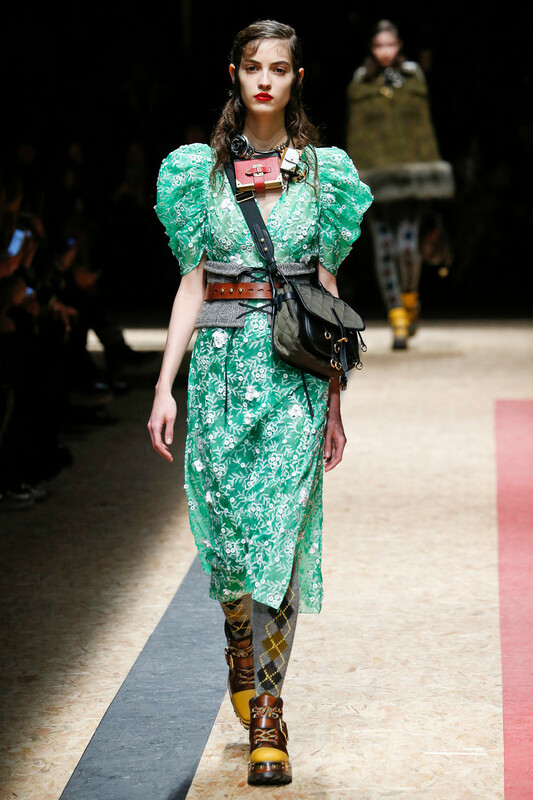 . . Like a Russian doll placed inside one another”, Miuccia Prada stated backstage. 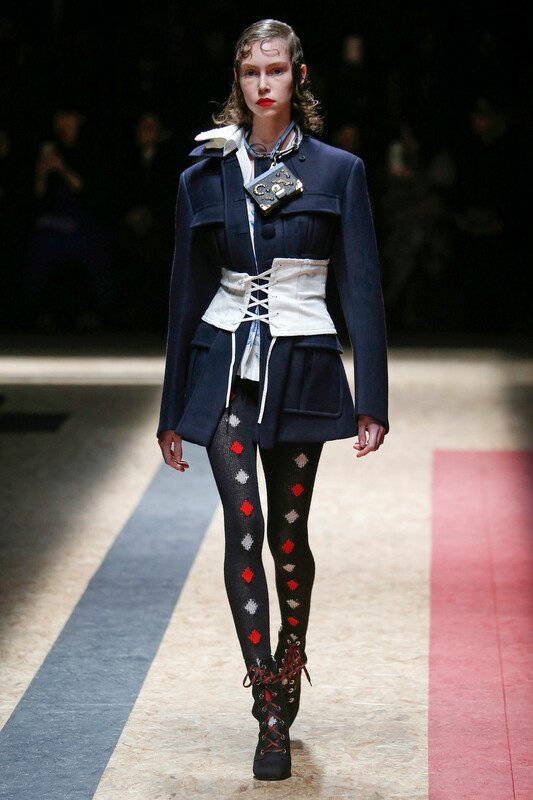 And complex her outfits were. 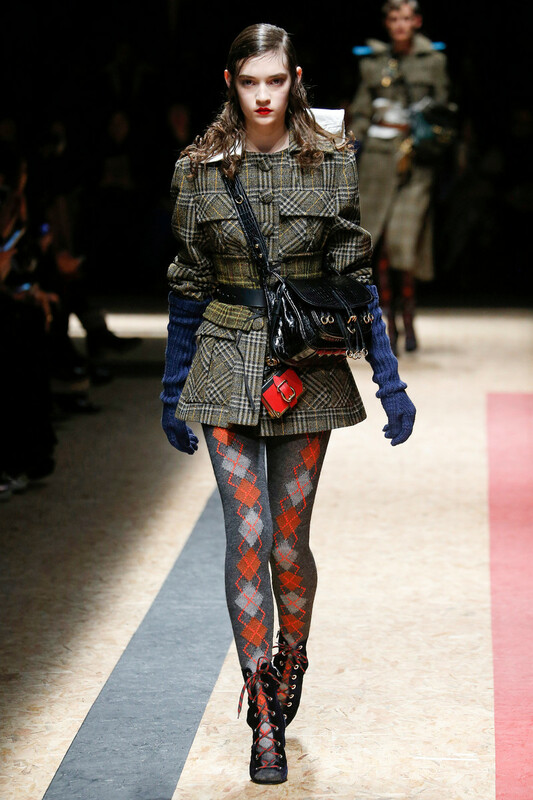 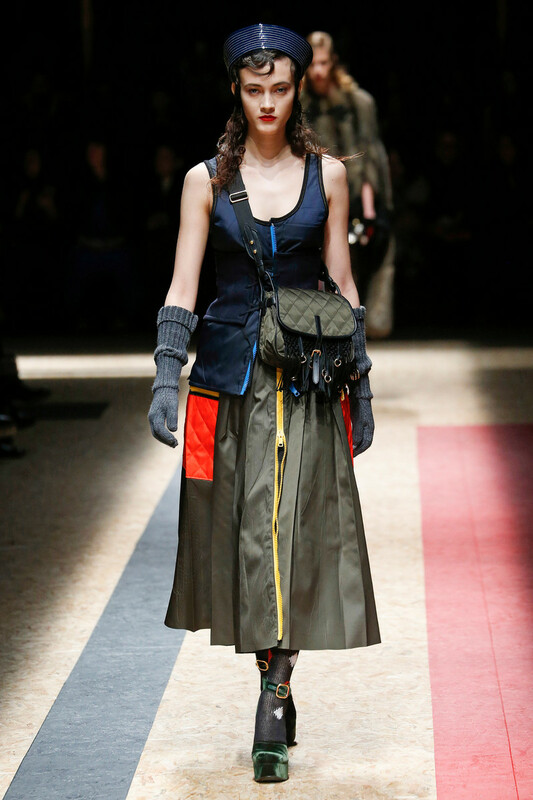 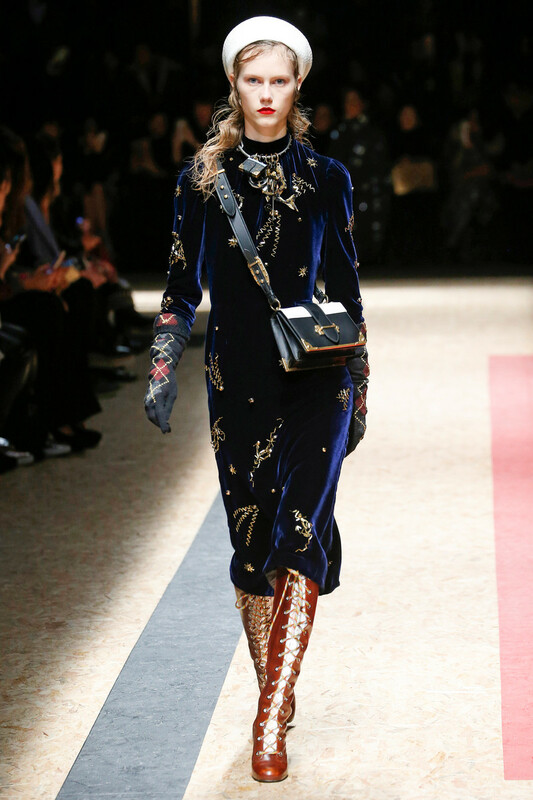 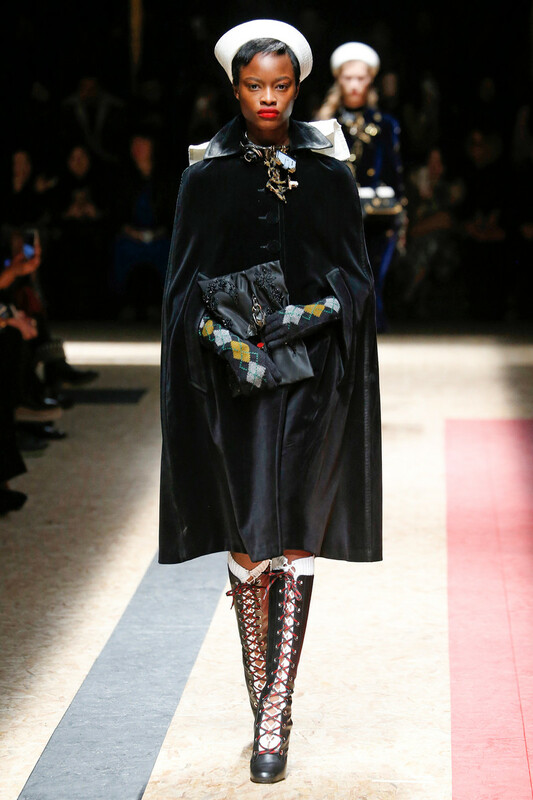 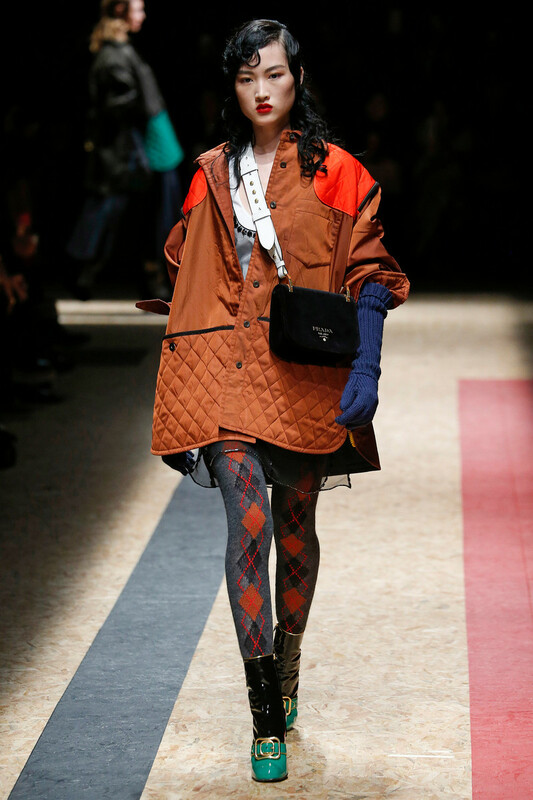 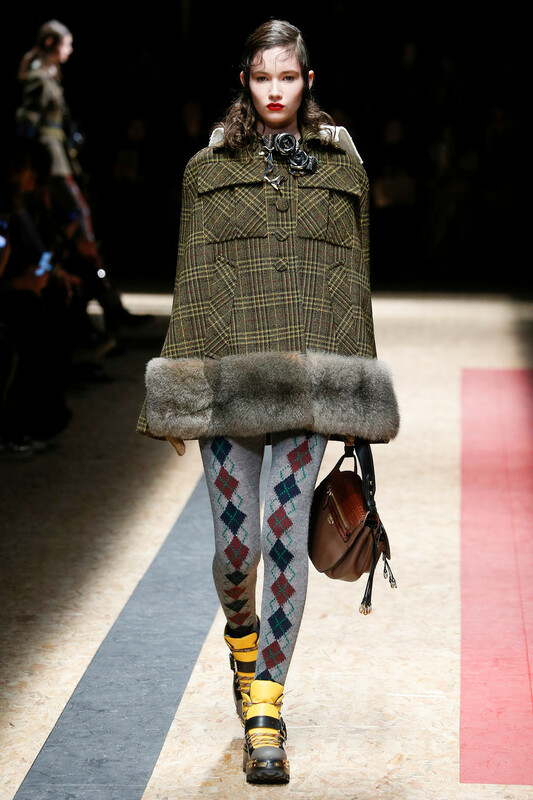 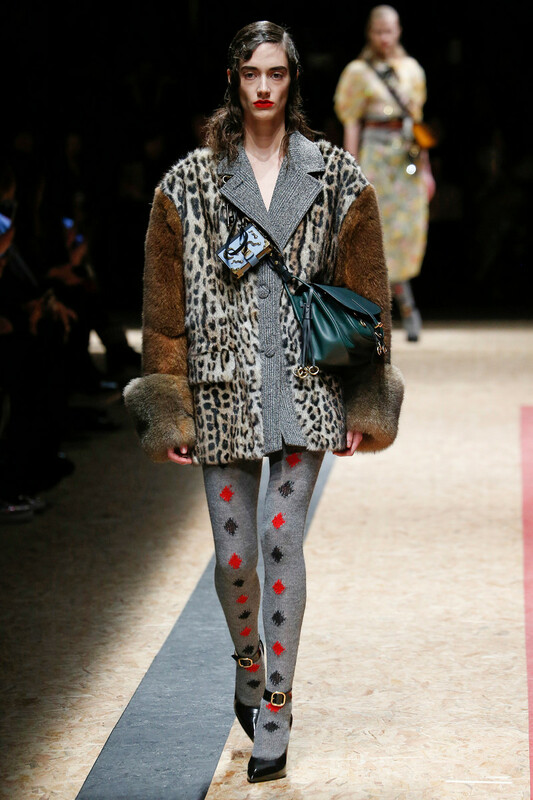 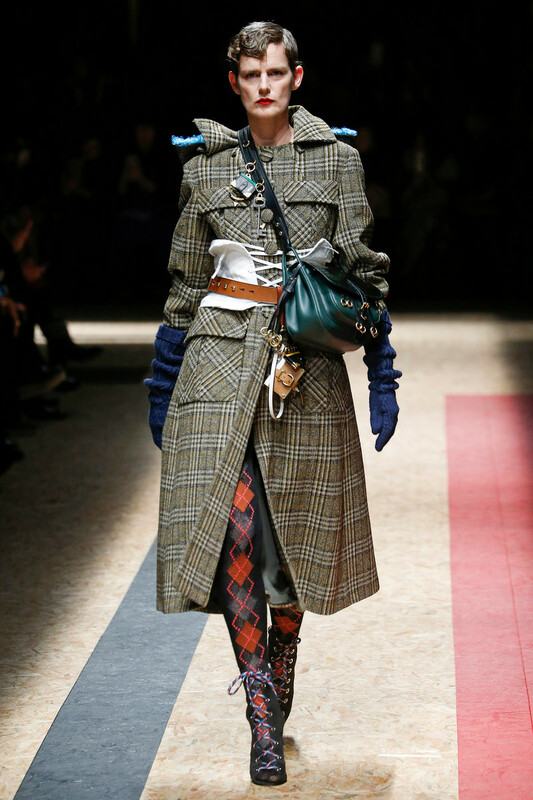 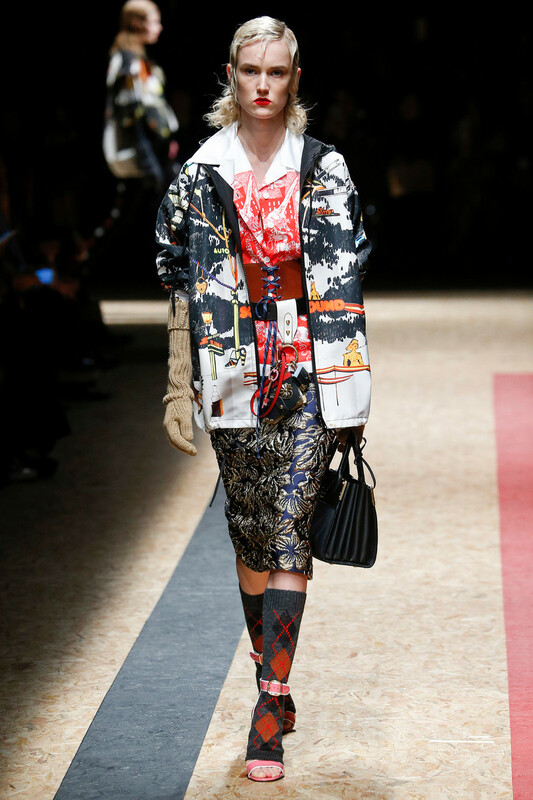 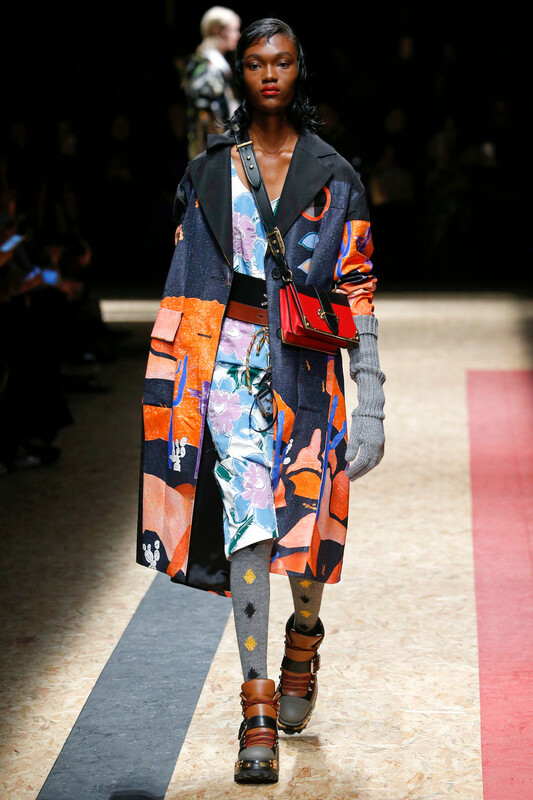 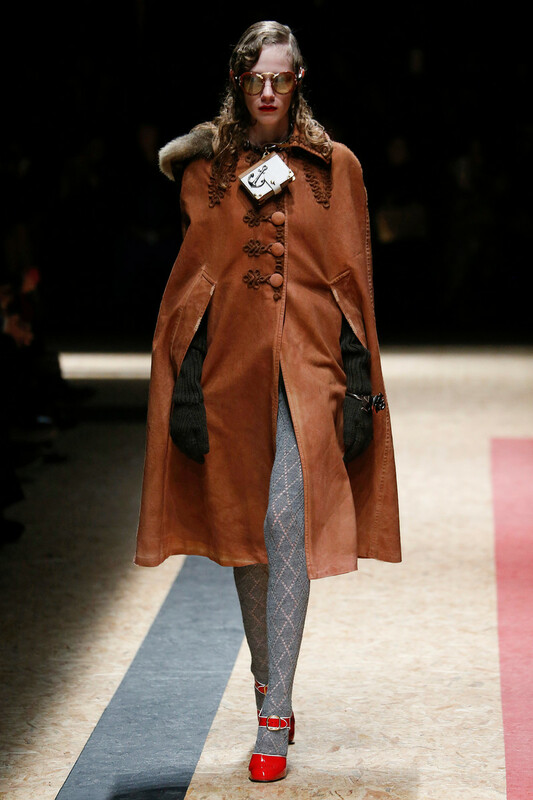 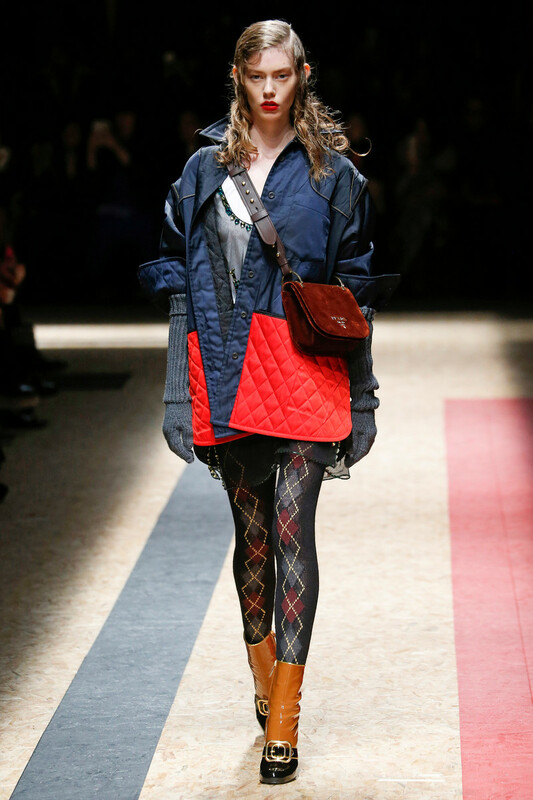 Argyle tights, lace-up booties, a tweed trench worn with a white corset and a pair of oversized knitted navy gloves formed the ultimate fall look for, guess who found her way back onto the runway, Stella Tennant. 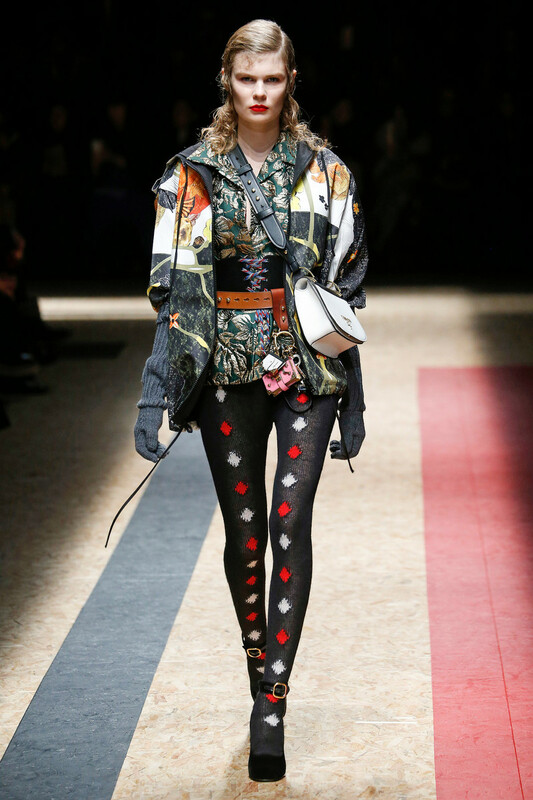 Oh, and let’s not forget to discuss some of her statement accessories. 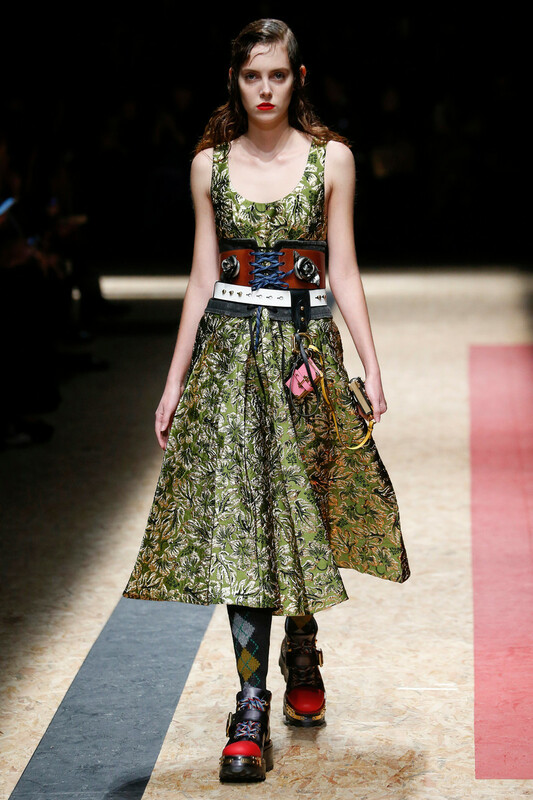 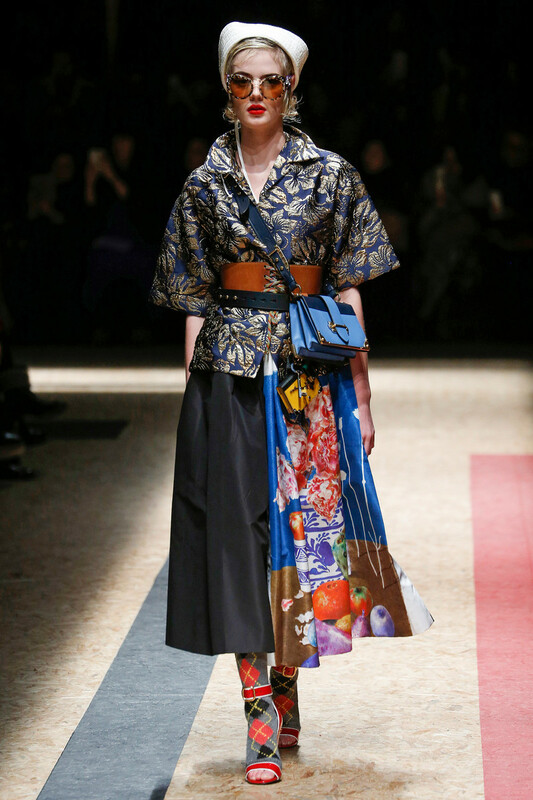 Like the multiple charms attached to both belt and bag. 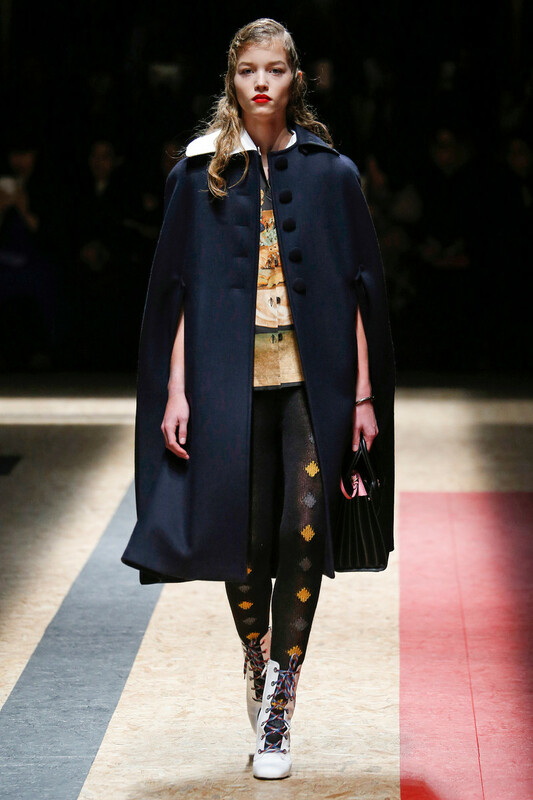 Sailor hats and sunglasses were added to the cacofonic style mix too, giving the looks a certain ’50s vibe. 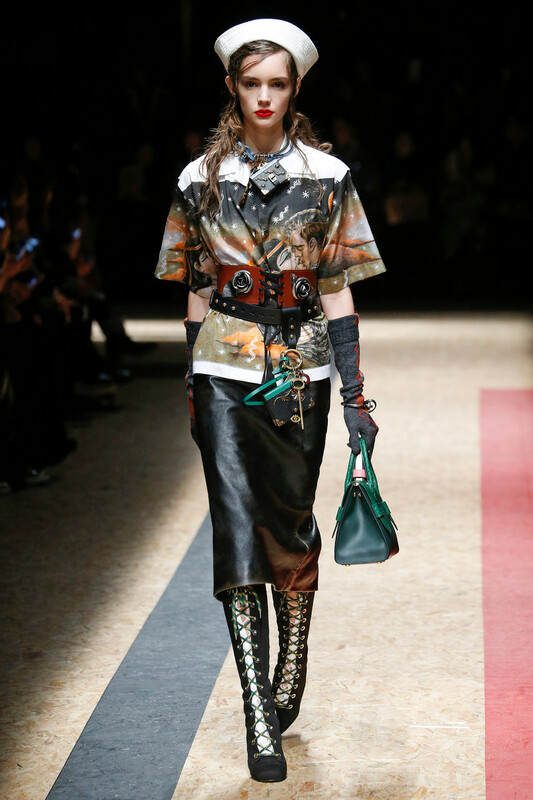 Outstanding prints on shirts and dresses, created by Berlin-based artist Christophe Chemin will surely have the Prada collectors lining up. 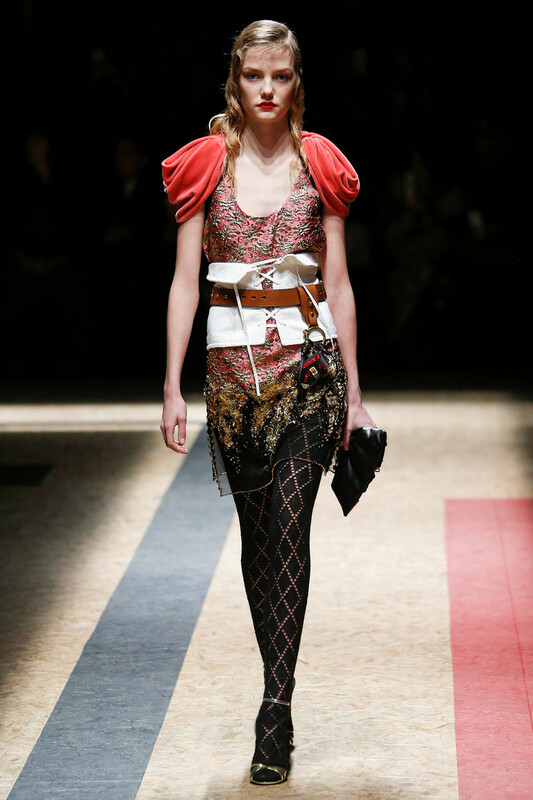 Red haired Dutchie Rianne Van Rompaey closed the show in a red printed forties style satin cocktail dress, white lace up booties, a clutch in her hand and a statement necklace. 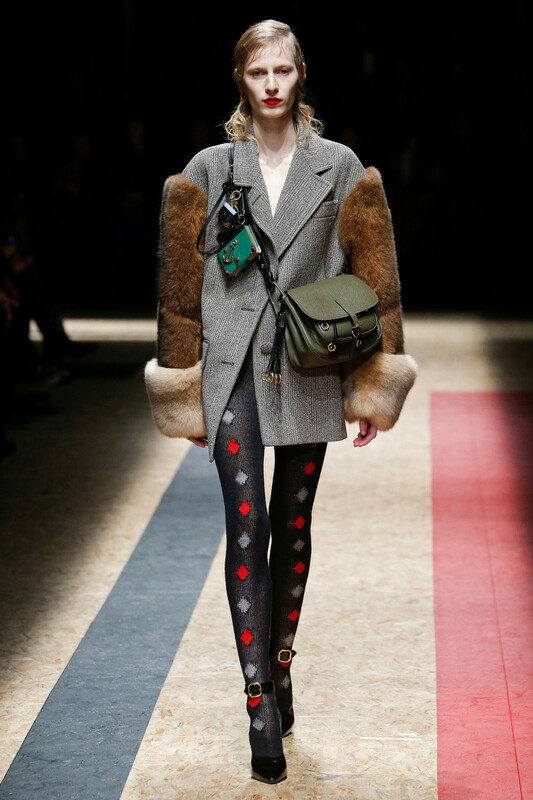 It’s all about accessorizing to the max… Maxaccesorizing it is!